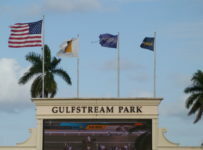 Thursday, Sept. 24 — Gulfstream Park will begin a regular four-day racing week this afternoon with ten races and first post time of 1:15 p.m. 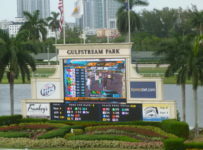 The dirt track is listed as fast and the turf course is listed as firm. 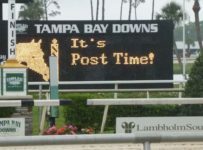 Six of today’s races are scheduled for turf. There are no stakes races. 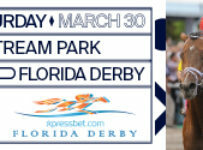 The feature sixth race is a $75,000 allowance/optional claimer at six furlongs on dirt for 2-year-old fillies. The purse is $44,000. There is a field of six following the morning scratch of Happy As a Queen. 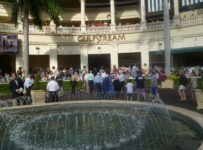 Kandoo is the morning line favorite at 2-1. 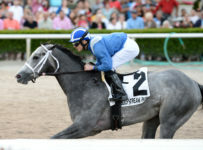 She has the red-hot connections of trainer Ralph Nicks and jockey Tyler Gaffalione. Kandoo has a win and a sixth place finish in two career starts. 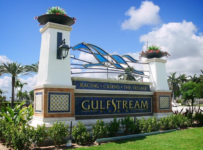 On July 18, she was an impressive winner at 4 ½ furlongs at Gulfstream. 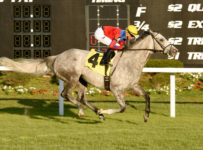 On Aug. 15, she finished sixth in the 6 ½ furlong Adirondack Stakes (Grade 2) at Saratoga Race Course. 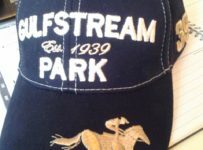 *Today will be Gulfstream’s first race day since last Sunday when Nicks and Gaffalione each had five winners. They combined for victories in four races. 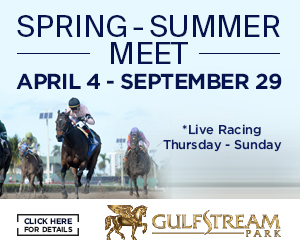 There are seven races days left until the end of the Gulfstream summer meet on Oct. 3. Nicks leads trainers with 31 wins, followed by Antonio Sano with 25. Michael Pertro has 25 and is in third place. 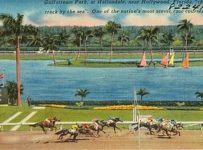 Gaffalione leads jockeys with 70 wins. He is followed by Eddie Castro with 48 and Jonathan Gonzales with 40. 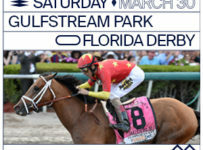 * On Saturday, Gulfstream will have two $75,000 stakes races. 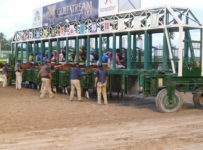 The Groomstick is seven furlongs on dirt for 3-year-olds and up. 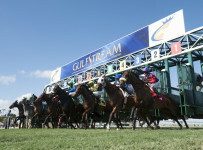 The Panama City is one mile on turf for fillies and mares 3-years-old and up.